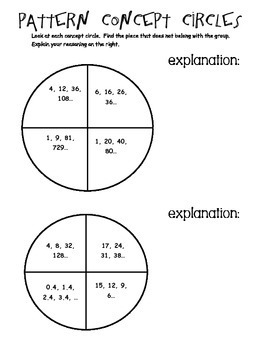 Students will look at a circle that has 4 different patterns/sequences. 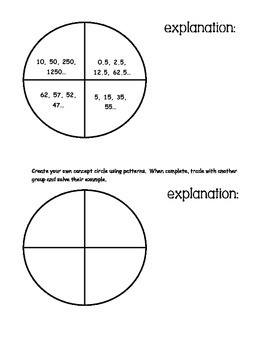 The students have to select the piece of the circle that does not belong. Students will defend their answers by explaining on the right side of the paper. Students will usually work in small groups for this activity.